Thanksgiving. Hanukkah. Two holidays largely centered around bringing loved ones together over delicious traditional foods. 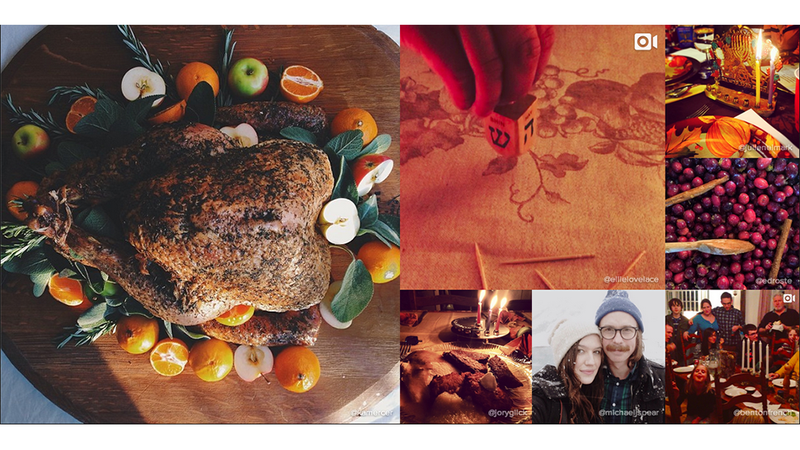 Put them together, whip up a portmanteau-licious hashtag (#Thanksgivukkah), and you've got the recipe for a record breaking day on Instagram. As revealed on the Instagram blog, this past Thursday was the biggest day yet for users of the social image sharing service. With so much tasty food to go around, and so many people traveling to join family and friends, it's no surprise. Plus, with many Instagrammers home for Throwback Thursday, you just know the old family photo album got pulled off the shelf and given a nice Valencia or Kelvin makeover.